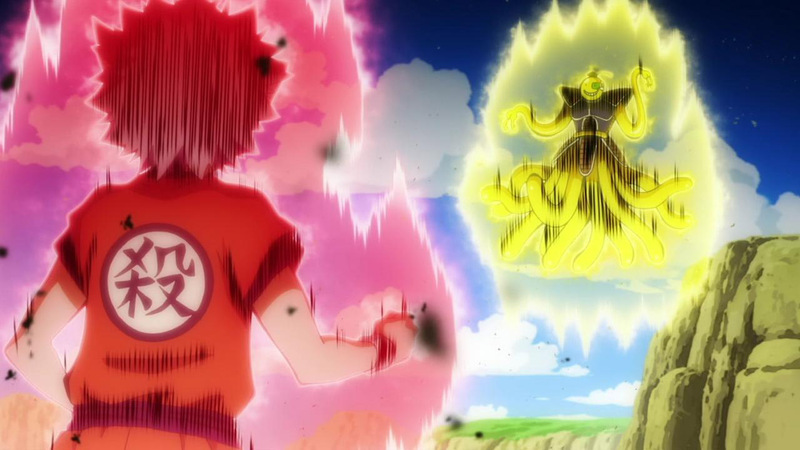 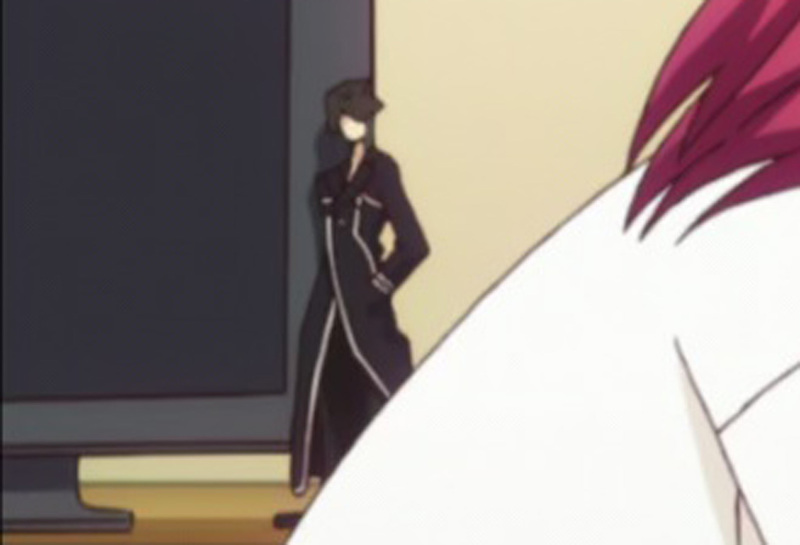 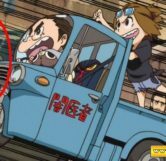 This easter egg can be seen in episode 4 titled, "Dawn of a Miserable Morning". 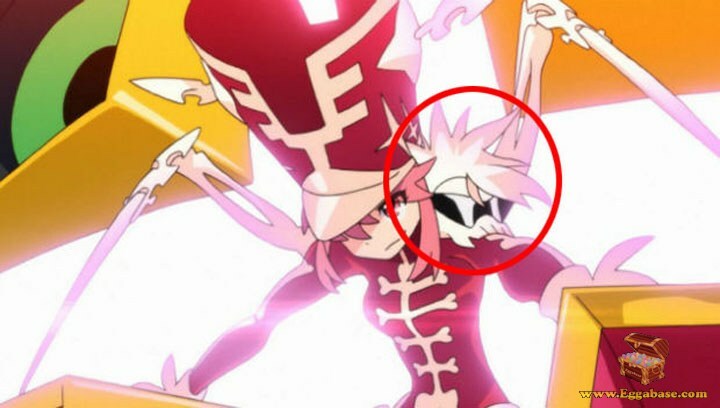 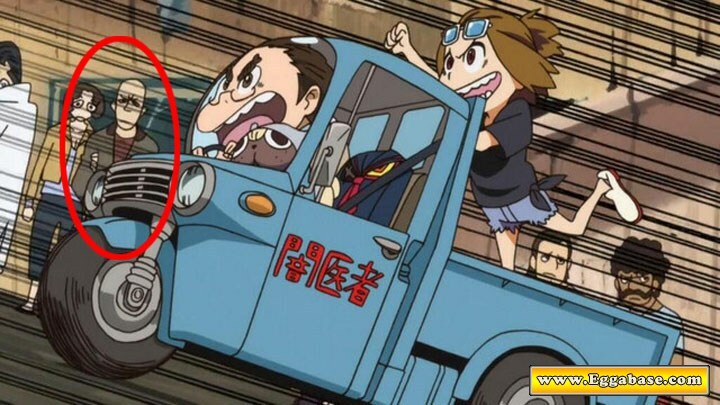 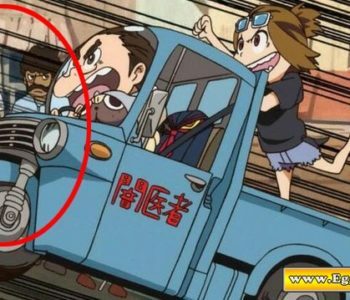 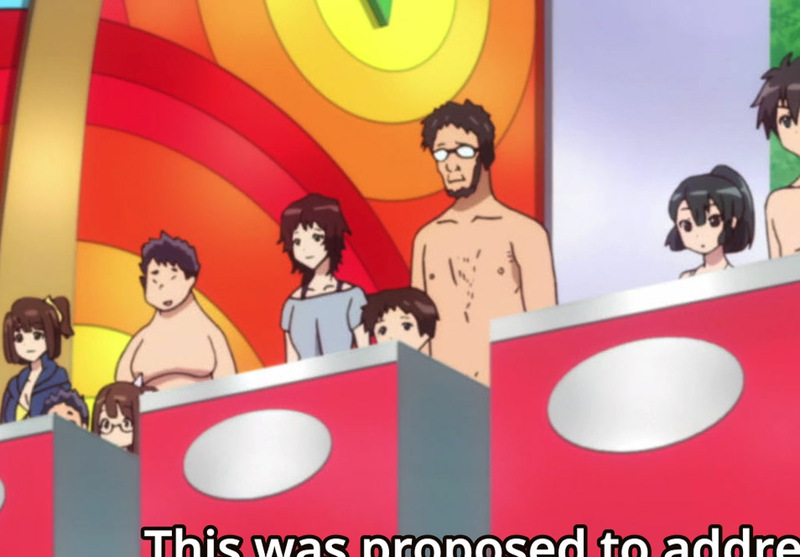 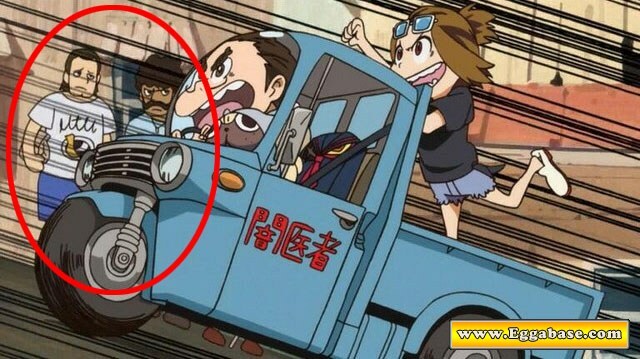 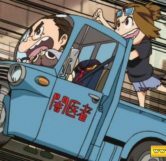 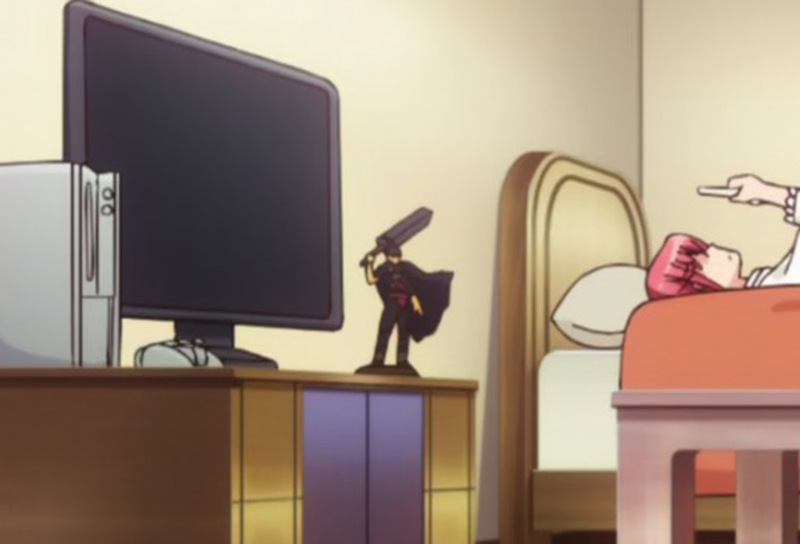 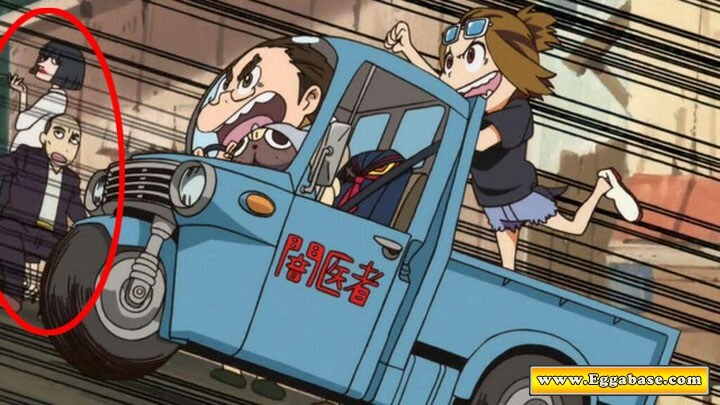 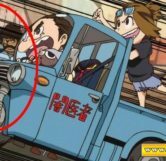 In episode 4 of Kill La Kill, as Mako’s dad, brother and dog rush to bring Ryuko her uniform in a truck, we see a number of onlookers as they fly by, four of which being some of the main characters from Pulp Fiction. 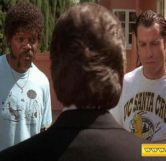 They first pass the two hitmen Jules Winnfield and Vincent Vega. 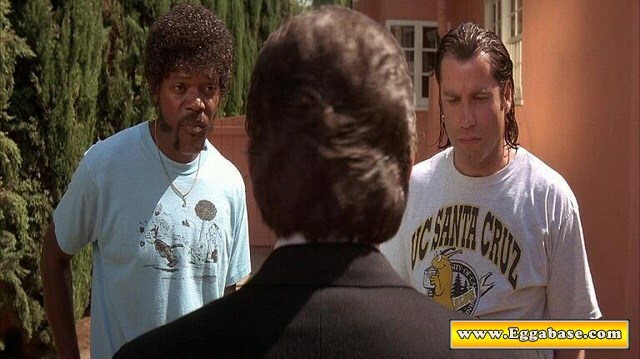 Not only are they drawn to look almost exactly like Samuel L. Jackson and John Travolta, but they’re dressed in the exact same outfit as when Mr. Wolf made them change clothes because they were covered in blood. 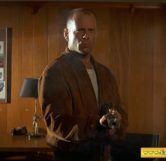 Shortly after the hitmen they then pass the boxer, Butch Coolidge (Bruce Willis). 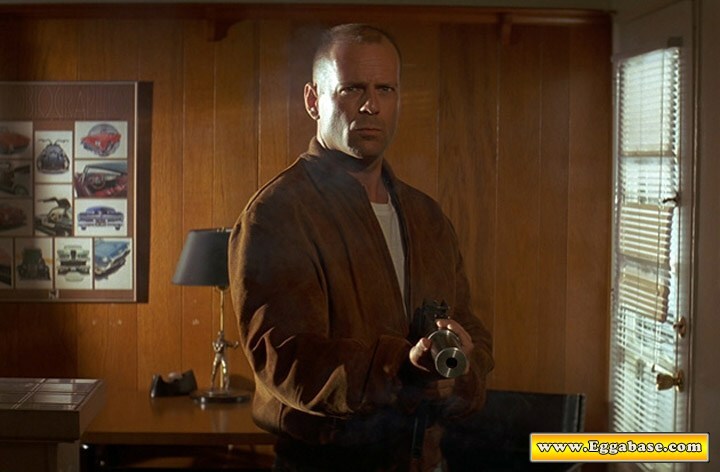 Butch is seen in his signature brown jacket with a woman on his arm, though we were unable to verify if she is in fact his girlfriend Fabienne. 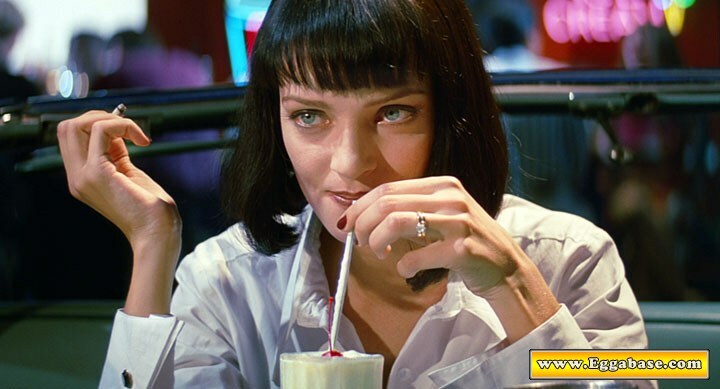 Then lastly they pass Mia Wallace (Uma Thurnam) who is famous for introducing the world to the adrenaline shot. 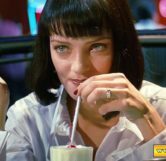 Mia is most identifiable by her signature hairstyle and is also seen smoking a cigarette with her hand upside down; another famous Mia Wallace trait.